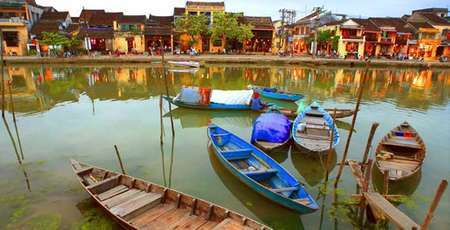 Holding the first place in Vietnam's top destinations, the ancient town of Hoi An, with its old jewels and its nice little corners, will enchant you at any time you visit. 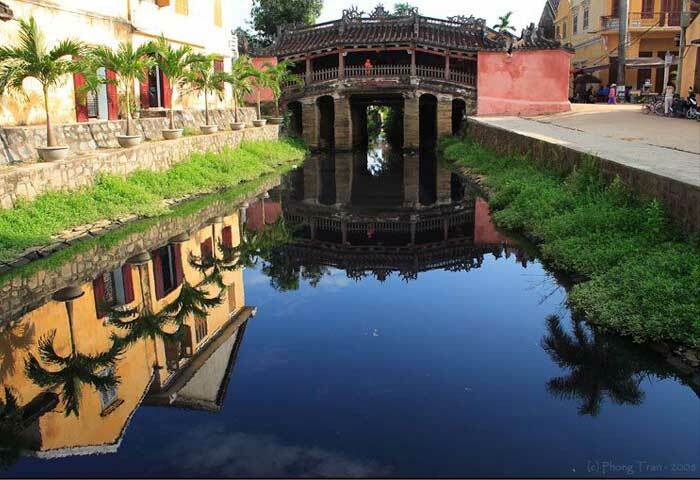 What to do in Hoi An and what to see are those simplest concerns. 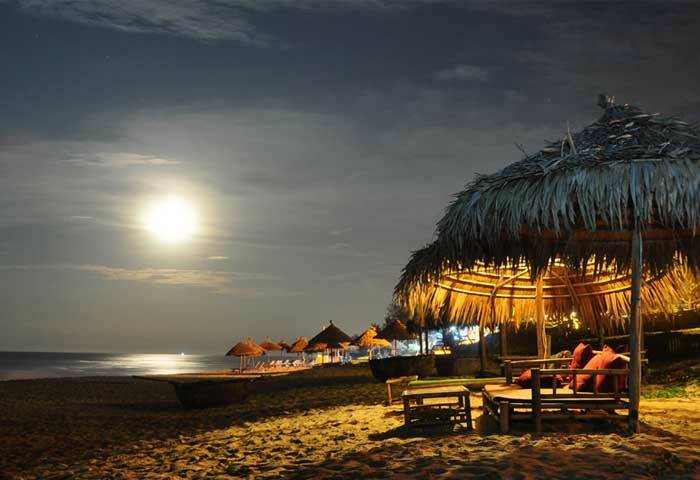 To answer these questions, we recommend you 7 must try - experiences in Hoi An. 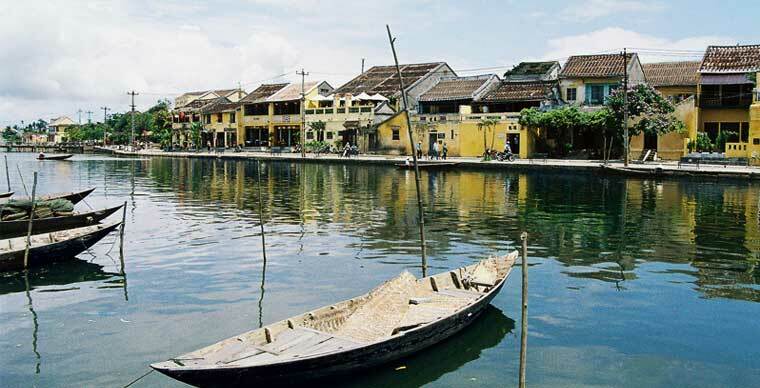 Hoi An was the most important ports of Southeast Asia between the 17th and 18th centuries, a famous stopover for international merchants including Dutch, Polish, Chinese and Japanese. Its unique beauty mainly lies in the architectural peculiarities of old buildings, mossy walls, and restaurants along the alleyways. 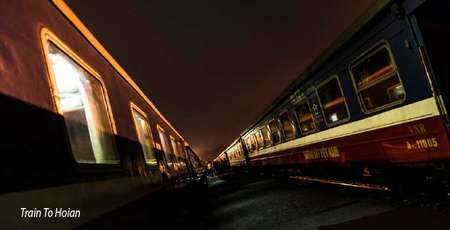 If one day you travel to this imperial city, you can feel the breath of time while wandering through the peaceful atmosphere falling over the antique houses. 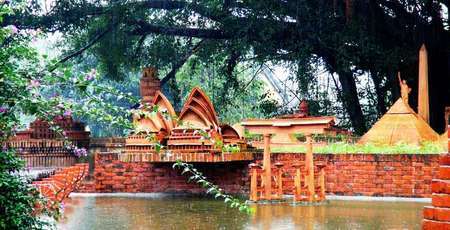 The most beautiful remains of Hoi An are found on the Hoai Riverbank, spanned by the Japanese Covered Bridge connecting Tran Phu and Nguyen Thi Minh Khai Streets. 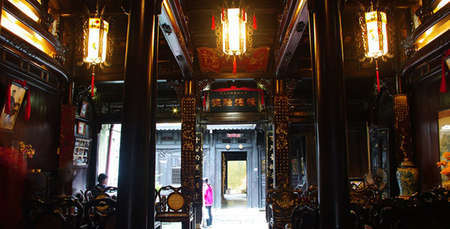 Its communal houses, Chinese stores, temples and pagodas constitute a living museum that well preserved historical value despite so many national vicissitudes. Let yourself be enchanted by the traces of the past exuded by a beautiful blend between quintessence of Vietnam, China and Japan. In the nostalgic childhood of several generations, Hoi An presses it beauty in the yellow walls of the little ancient houses. Weather the rainy days or days of sunshine, A color that reigns in its narrow streets makes them splendid in its own way. In the quiet atmosphere of a small street without building or motor vehicle, its ancient jewels can touch the deepest of your sensitivity. The 16th century pagoda bridge, the soul of Hoi An, a metaphorical bridge linking past and present, is a must stop for your visit to the old city. Other important Hoi An heritages are the ancient Tan Ky houses, Phung Hung, Quang Thang, Phuc Kien communal houses, Chau Trieu, Quang Dong, Ngu Bang, Ong pagoda (or Quan Cong temple). 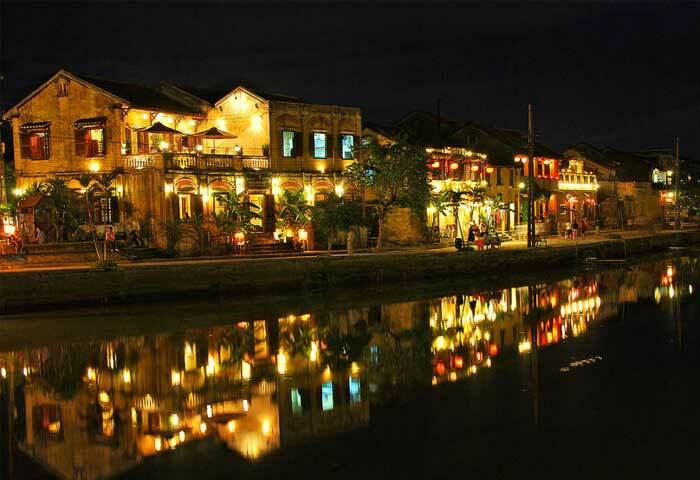 When the sun goes down, the poetic Hoi An remains it exceptional charms with thousands of colorful lanterns. It is hard to find anyone coming here without adoring the sparkling streets in this fairy light. A night of wandering along the Hoai River to contemplate the wonderful city with folk songs and dances, lanterns shining on the water will be a unique experience. On every 14th day of the lunar month, when the moon displays it fullest shape, you will enjoy fabulous moments of Hoi An while recording unforgettable memories. 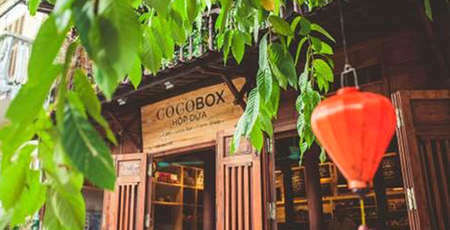 Besides the poetic of historical sites, you will be surely under the spell of Hoi An’s local food. With a diversification in flavors and the delicate ingredient, this city is famous for many types of traditional cake and rice noodle such as “Banh Xeo” “Banh uot” “Quang” rice noodle “cao lau” and the summer roll, so called “Goi Cuon”. One of the secret for each of the dishes above is the dipping sauces, a combination between fish sauces, lemon juice, sugar and peppers. For those having a great passion in Asian culinary, a cooking class in Hoi An will bring along everything they wish for, not only the cooking recipe but also a chance to get closed to local people. Are you recently stressed up by work and the fast pace of city life? 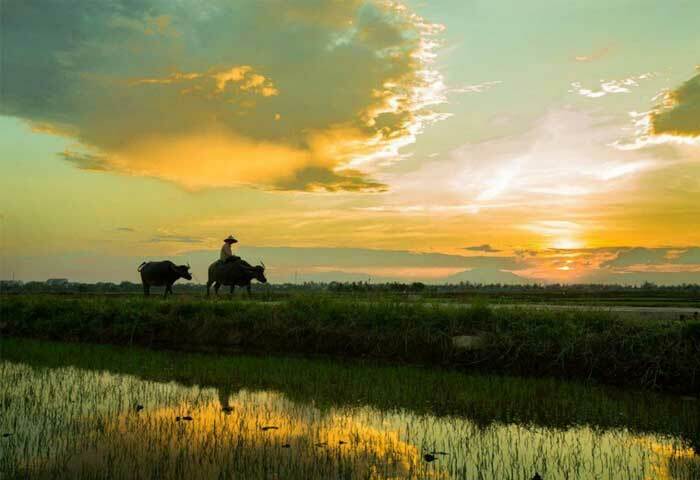 If yes, a visit to the rural areas in Hoi An will be a great choice for a little getaway. By admiring a picturesque landscape, peaceful rice fields and meeting smiling peasants who willing to give you a warm welcome to the discovery of rural life, you will no longer have stresses and anxiety bothered. Together with enjoying the pellucid atmosphere, you can create the most unforgettable memory by a hiking or cycling in the wilderness and watching the beautiful sunset. Besides the Chinese ancient architecture blending of Japanese styles, Hoi An is also famous for the quintessence of its cuisine. Among various choices, “Cao Lau” deserves to be the best local dishes, which has surprised so many travelers and diners. 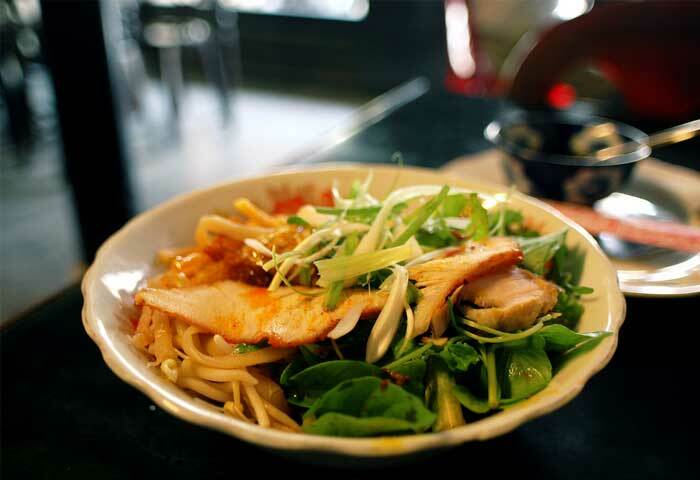 Simple but succulent, a bowl of "Cao lau" consists of thick yellow noodles, some pork slices and aromatic herbs, with the special sauce being poured over all other ingredients. 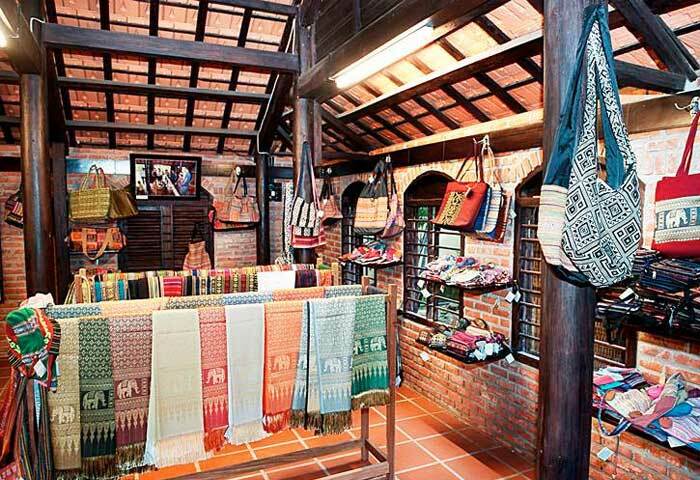 In addition to the abundance of pretty shops, Hoi An is also well known with tailor-made clothes. The same goes for Vietnamese dresses, bags and quality shoes with a wide range of designation. Just a few walk down town, you can easily find a fashion shop where you can receive your custom-made garment ordered within 24 or 48 hours. The treasure of Hoi An is not limited to its cultural heritage classified by UNESCO, but its also comes along with recently unveiled beaches. The city also plays the card of seaside paradise hosting. Some adorable and nearby beaches can be known as An Bang, Cua Dai and Ha My, which are respectively 3km, 5km and 7km from the center. Ha My Beach, a sleeping beauty that has been awakened for the past few years, is endowed as one of the most beautiful beaches in Asia. After the enchantment of discovering the beautiful architecture and the peaceful countryside, a relaxing on the edge of its sublime sand and turquoise waters, more than ever your stay in Hoi An will be fulfilled. >> Want to discover the great wealth of our country during your next vacation? 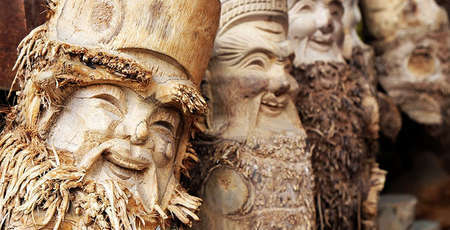 Refer to a tour in Vietnam with more details and suggestions from our local experts.